After boarding up the beach house that I manage, I got the heack out of Dodge. But, people all over Raleigh, Charlotte and everywhere else are wondering what’s going on with their beach houses. Ok, today I was able to get some great pics off of Facebook and verify they aren’t fake. My only question now is to when I can get back on the island. Unfortunately, Town of Surf City is being totally silent about this other than saying Maybe Wednesday, September 19, 2018. I know a few people who will be taking kayaks to the beach due to the lack of communication. 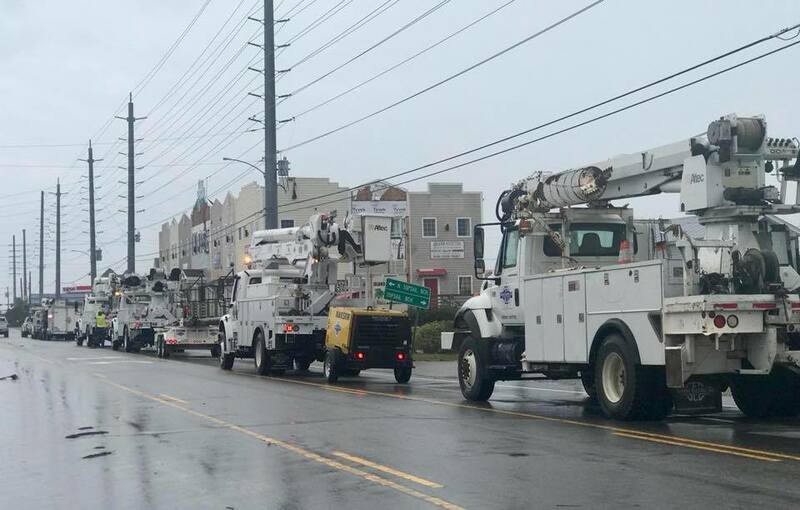 Utility trucks headed in to Topsail Beach to repair downed power lines. 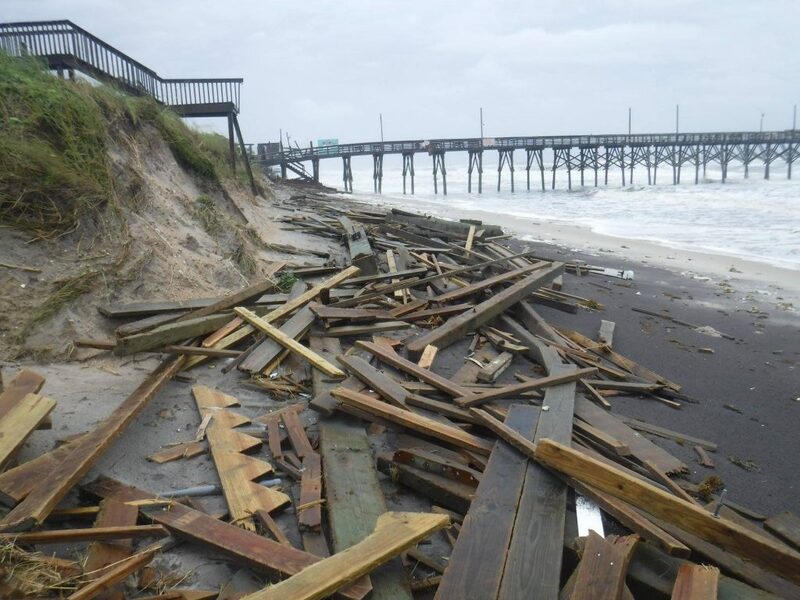 Debris on the beach near the Surf City Pier. Some of those stairs look pretty new! 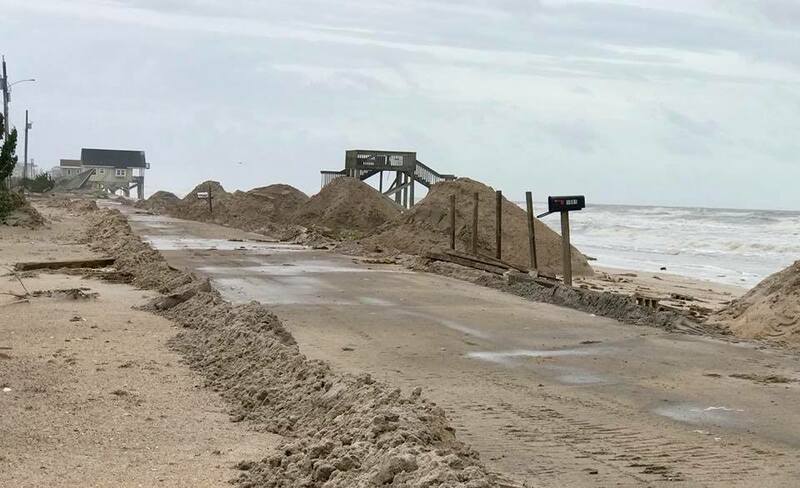 The dunes are gone and the sand is now in the streets. Crews have been plowing sand off of the streets. If you have any information about what’s going on after Hurricane Florence please comment below!